Metroid Prime: Federation Force is a shooter game developed by Next Level Games and released on Nintendo 3DS. Luigi's Mansion: Dark Moon (Luigi's Mansion 2) is an action-adventure puzzle game, developed by Next Level Games and published by Nintendo for the Nintendo 3DS. 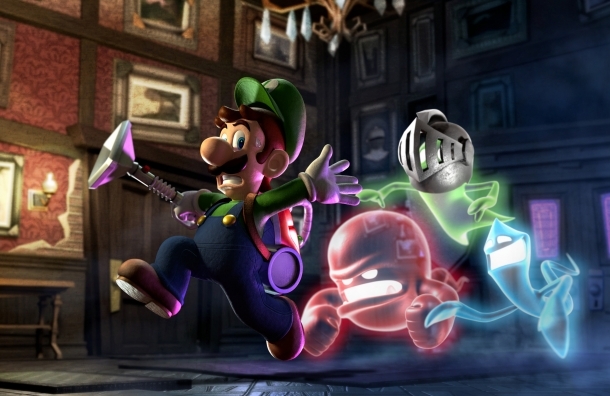 A sequel to the 2001 game, Luigi's Mansion, the game follows Luigi, who is sent by Professor E. Gadd, to explore various haunted mansions and capture ghosts using the Poltergust 5000, a specialized vacuum cleaner. Captain America: Super Soldier is an action game developed by Next Level Games and released on Nintendo 3DS, Nintendo DS, PlayStation 3, Wii, Xbox 360. Doc Louis's Punch-Out!! is a fighting game developed by Next Level Games and released on Wii. Ticket to Ride is a misc game developed by Next Level Games and released on iOS, Xbox 360.